Menorrhagia – Bleeding excessive in both amount and duration of flow, occurring at regular intervals. Metrorrhagia – Bleeding occurring at irregular intervals and in varying amounts but not excessive. Meno-metrorrhagia – Bleeding, which is usually excessive and prolonged and which occurs at irregular intervals. Polymenorrhea – Frequent but regular episodes of bleeding, usually with intervals of less than 24 days. Oligomenorrhea – Episodes of bleeding occur at intervals greater than 35 days. 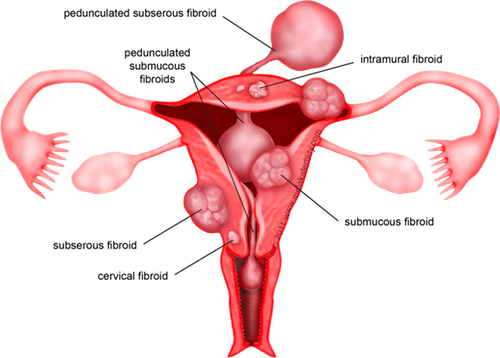 Amenorrhea – No uterine bleeding for at least 6 months. It may be primary or secondary. 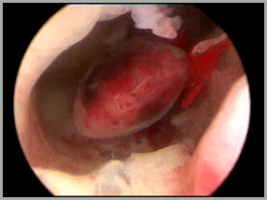 Inter-menstrual – Uterine bleeding that occurs in between regular cycles. Since we come across many of these cases in our infertile population, it is important to know about the extent of this condition. 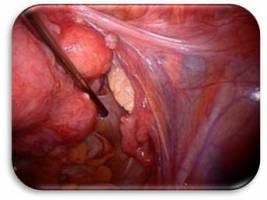 Fibroids are mostly benign tumors arising from the muscular layer of the uterus. They are hormone dependant (Estrogenic) and have a tendency to grow in size. It is mostly seen in women of reproductive age group, when the hormones are at their peak. 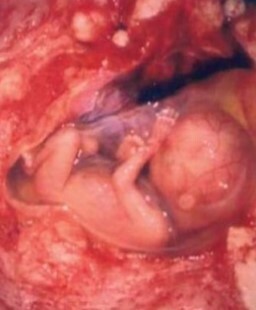 During pregnancy they tend to enlarge and cause pain abdomen which can be managed conservatively in most situations. 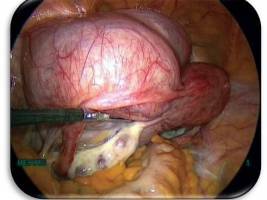 It is diagnosed primarily by Pelvic examination, pelvic ultrasound and diagnostic hysterolaparoscopy.